Always cut fresh in-store. 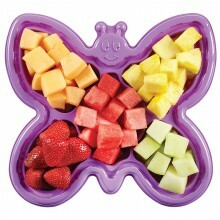 Add our delicious fruit or vegetable trays to your party. Click here to see a list of participating stores. • Payment is due in-store at the time of pickup. • Prices online do not include taxes (If applicable). • Taxes will be applied to your order at the time of payment. We require a minimum of 24 hours notice to process your order and have it ready for pick-up. If your order is required in less than our minimum of 24 hours, please visit or call the store directly or contact Customer Care toll free at 1-877-763-7374, Monday to Friday 8:00 a.m. to 9:00 p.m. Saturday & Sunday 8am to 7pm. (excluding holidays). *Potential Allergen Notice: Although we take precautions, we cannot guarantee that Fresh 2 Go items have not come into contact with peanuts or other allergens. Learn more about our terms and conditions. ADULTS AND YOUTH (AGES 13 AND OLDER) NEED AN AVERAGE OF 2,000 CALORIES A DAY, AND CHILDREN AGES (4 TO 12) NEED AN AVERAGE OF 1,500 CALORIES A DAY. HOWEVER, INDIVIDUAL NEEDS VARY. Please Note: Prices are subject to change without notice. Prices and products are only available in Ontario stores. Some images may not necessarily represent the end product. We reserve the right to correct any unintentional errors that occur in the text or images. © 2018 Metro. All Rights Reserved. © 2019 Metro. All Rights Reserved.